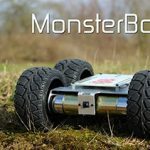 Practical Robotics Institute Austria (PRIA) recently launched a Kickstarter for their new product: the Hedgehog, an Educational Robotics Controller. 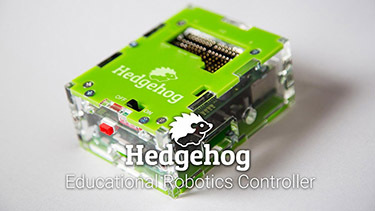 PRIA created the Hedgehog with the intention of creating a suitable resource for anyone who wants to explore robotics, no matter their age or expertise. While they believe it is particularly suited for learning programming, it also offers other opportunities to learn for individuals with varying levels of skill. 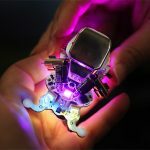 Through building your own robot, users get the opportunity to explore mechanics and in addition, experienced programmers can tackle complex projects, such as swarm intelligence, advanced image processing, or developing their own microcontroller firmware. “At the Practical Robotics Institute Austria, we already use Hedgehog in classes, workshops, robotics competitions, and projects, and we know how well it works. It has already helped us engage dozens of students with engineering subjects, and inspired multiple bachelors and high school diploma thesis projects” says Clemens Koza, one of Hedgehog’s developers. The key selling point of the Hedgehog is its versatility. 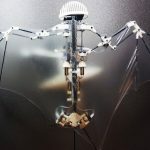 It was designed to prevent users from “outgrowing” it in terms of skill level so that it can be suitable for students, hobbyists, and more advanced users. Depending on your level of experience, the user can either employ the beginner-friendly, in-browser development environment, or use SSH to access the Hedgehog’s Raspberry Pi directly. 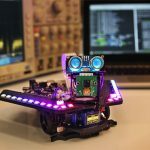 It also supports both visual and textual programming through Blockly and Python. The Hedgehog can be augmented using thousands of third-party applications & libraries for the Raspberry Pi, so the possibilities for this product are practically endless. 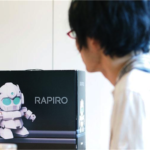 The Kickstarter campaign for the product proved to be successful when the team exceeded their initial goal of €12,000. 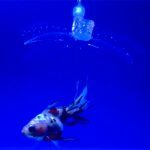 As a result, PRIA is hoping to use the success of the campaign to start a larger production run so that they can ensure that experimenting with robotics is less costly, while also making it more accessible for users of all skill levels. To learn more about the Hedgehog, visit https://hedgehog.pria.at.